Hey lovelies, I absolutely love being from London as it means I am surrounded by some of the best places to purchase beauty products. I currently go to university just outside of London in the lovely town of High Wycombe! it's somewhat of a small town but I've loved being able to call it my home for the past two years. 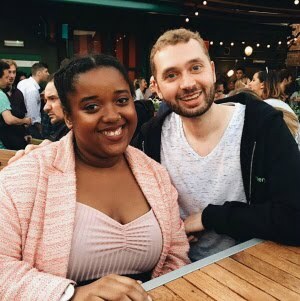 We've had some great new openings over the past few months, many food related places with my favourite being Bill's (the sweet potato fries give me life). I loved trips to Bill's in London before I moved to Wycombe, so it reminds me so much of home. 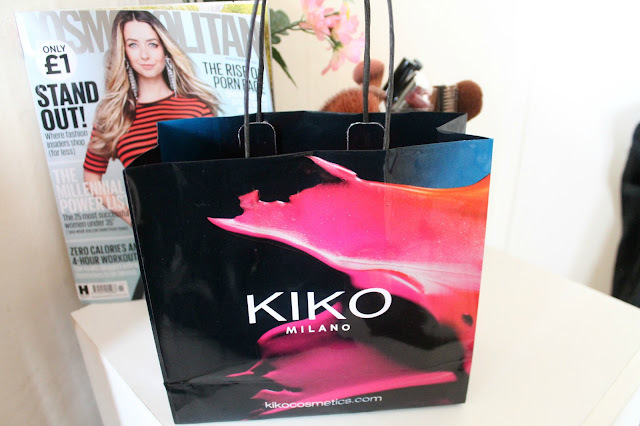 Now, it was recently announced that we'd be getting a KIKO MILANO store here and I couldn't have been any happier. 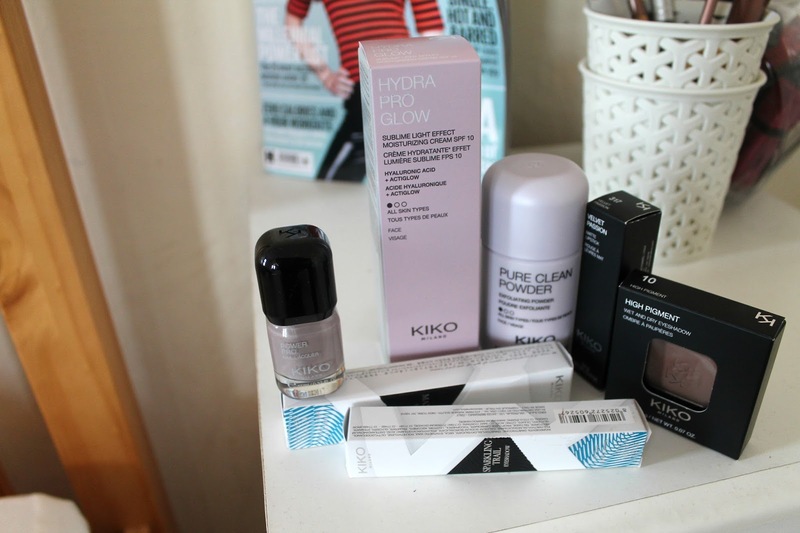 Being a lover of makeup, KIKO is now just another place for me to spend the money that I don't have, oops. I popped into the store last Friday the 21st. The buzz in the store was amazing - so many excited makeup lovers under one roof swatching products like there was no tomorrow. I spent quite a while in store deciding what I really wanted to get my hands on - I had the lovely help of a sales assistant in store who basically just felt like a friend I'd gone shopping with while we talked about popular products and products that I really wanted to try! 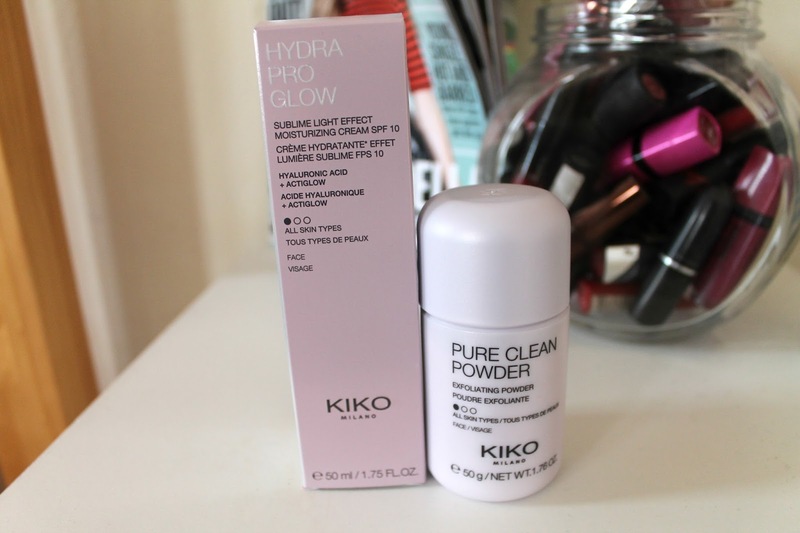 I've already been using these two products and they were definitely well worth the money. The moisturiser gives such a glow to the face, almost as if I was wearing highlighter. It's recommended to all skin types but I did personally find it a little drying at times - which i'd say is due to the fact that I have quite dry skin, especially around the colder months. I topped a bit of my Nivea essentially enriched body lotion in 'dry to very dry skin' and found it helped in the dryer areas. As the KIKO moisturiser feels light on, it didn't feel like too much on my skin when I applied Nivea on top. I've been in need of a new exfoliator for a while, so I was pleased to get my hands on this one! over the past few months I've really made a change with the way I look after my skin and have made sure to add exfoliating into my routine at least twice a week. I am used to using gel based exfoliators and this one is different as it's powder based and foams up when apply water to it. I've really enjoyed using it so far! I swear I've been on the hunt for the perfect mascara for months now. I have quite short eyelashes but with the right mascara it gives it the perfect length. 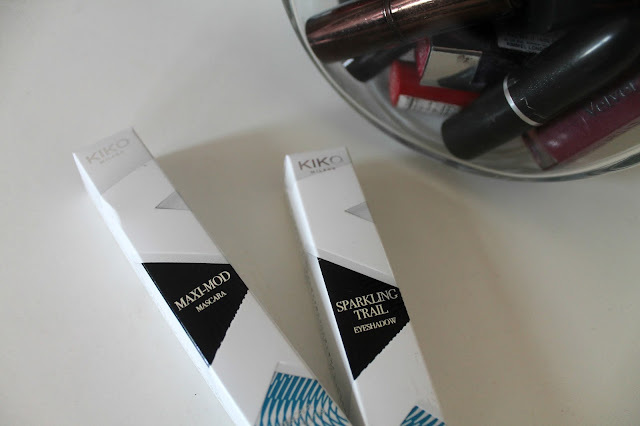 I've been using one of Rimmel Londons new mascaras which I've been pretty impressed with. However, I was recommended the maxi-mod mascara whilst in KIKO as it has a tiny brush. I love tiny brushes on mascaras as I think they work best at giving extra length to my lashes. This one certainty didn't disappoint and is my new go-to. I can tell that it's going to be an on going purchase of mine. Now, I actually purchased the sparking trail eyeshadow for a completely different purpose. I wanted to get my hands on one of their highlighting products and I was shown some of their creamy highlighting sticks which I didn't think looked too bad, but the sales assistant gave one of her recommendations which was to use the sparking trail eyeshadow in '01 Modern Ice Rose' but apply it as a highlight instead. I am so glad she recommended that as it is actually the perfect highlight. It has a nice creamy feel on and gives the perfect sparkle to my cheeks. I feel like watching YouTube tutorials has really helped me to get better at being able to apply makeup. I'd say I am pretty good at applying most makeup on myself. The one thing i really need to get better at is using and applying eyeshadow. I think in order to get better I need to purchase shadows and palettes that i'll actually use. I have a few now but i'm not very fond on the colours. I really liked the look of '10'. It's a gorgeous brown which i think will be perfect for an everyday look. I've currently got quite the nail polish collection built up and I am always on the hunt for unique colours to add to my collection. This one is the most gorgeous taupe. It'll most likely be the colour I have on all the time! Lastly, I obviously couldn't leave without getting myself a matte lipstick. This one is the most gorgeous wine pink - something that I don't actually own, even though I have quite the lipstick collection. It felt odd to be purchasing a matte lipstick rather than a liquid matte lipstick. Even though I am really into my liquid lipsticks at the moment, matte lipsticks will always have my heart! Have you ever made a KIKO purchase?